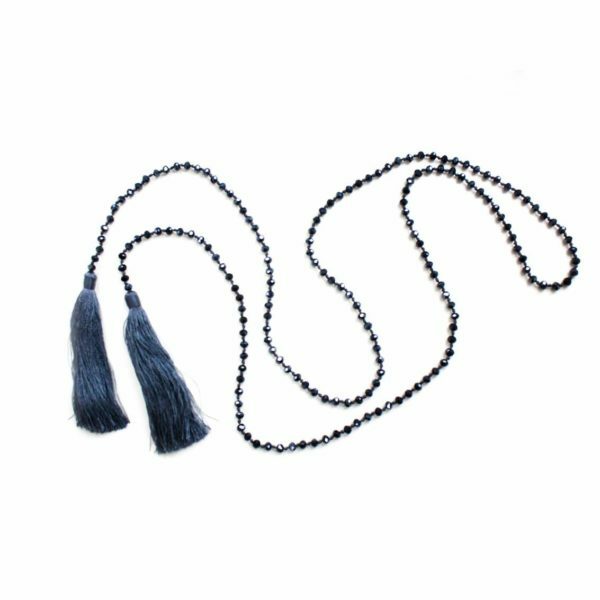 This beautiful lariat has dark grey crystals set on a matching dark grey silk thread, finished with a dark grey silk tassel at either end. It looks fantastic worn in the evening to dress up a plain coloured blouse/top in a contrasting colour. It is very versatile in that it looks equally stylish worn in a casual way with a plain white T-shirt. 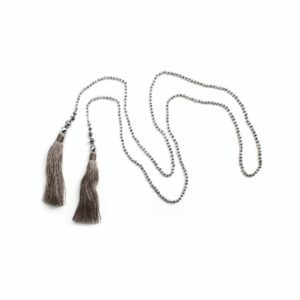 The tassels are a popular addition to this stylish lariat which is handmade by artisans in Bali. 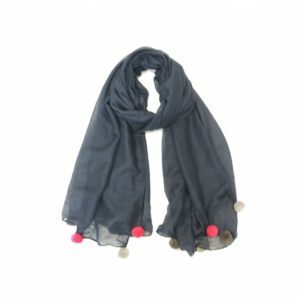 Available in lots of colours which makes it popular to wear throughout the year. 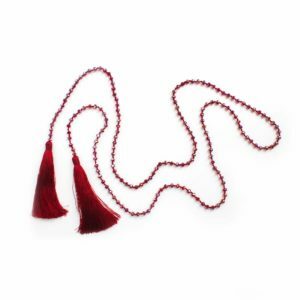 Lariat Length 138cm – Tassel Length 10cm – Total Length 158cm, crystal size 5mm diamater.